It looks like Google is finally gearing up to release the oft-rumored and thoroughly leaked Pixel 3a and 3a XL, but before that can happen, 2017's Pixel 2 and 2 XL appear to have been silently discontinued. While it remains unclear if there's any sort of connection between the two events, we definitely can't say we're shocked to see the nearly two-year-old phones go. Although the larger model got a permanent price cut on the heels of the Pixel 3 and 3 XL announcement back in October, all the discounts offered on the new devices by Google and various trusted third-party retailers lately probably made it hard for the search giant to find people still interested in the Pixel 2 lineup. As noticed by the eagle-eyed folks over at Android Police, the "phones" section on the official US online Google Store lacks the Pixel 2 all of a sudden, merely listing the Pixel 3 alongside the Pixel Stand, a hidden selection of cases, the Pixel Buds, and an option to view "all accessories" grouped by category. Searching for the Pixel 2 on the same website predictably returns a list of accessories, as well as a couple of unrelated products (like the Pixelbook and Daydream View), so it doesn't seem like we're dealing with a temporary out-of-stock situation. Instead, Google has almost certainly pulled the plug for good, at least as far as direct sales are concerned. Interestingly, Verizon actually stopped selling the smaller Pixel 2 nearly six months back, keeping the XL version around. That's still up for grabs from Big Red at the time of this writing, fetching an arguably excessive $849.99 with 64GB internal storage, or $35.41 a month for two years on a device payment plan. A much smarter choice would be to purchase the Verizon-locked Pixel 2 XL at Best Buy in exchange for a measly $399.99, which you can either cough up in full upfront or split in 24 monthly installments of $16.66 a pop. Ironically, a certified refurbished Pixel 2 XL for Verizon is not significantly cheaper right now, setting you back $374.99, which highlights just how great of a deal you're getting from Best Buy on brand-new units. Obviously, you'll want to hurry and pull the trigger as soon as possible. Something tells us Best Buy might be running low on inventory as well. Oh, and by the way, the 5-inch Pixel 2 is pretty much gone everywhere. 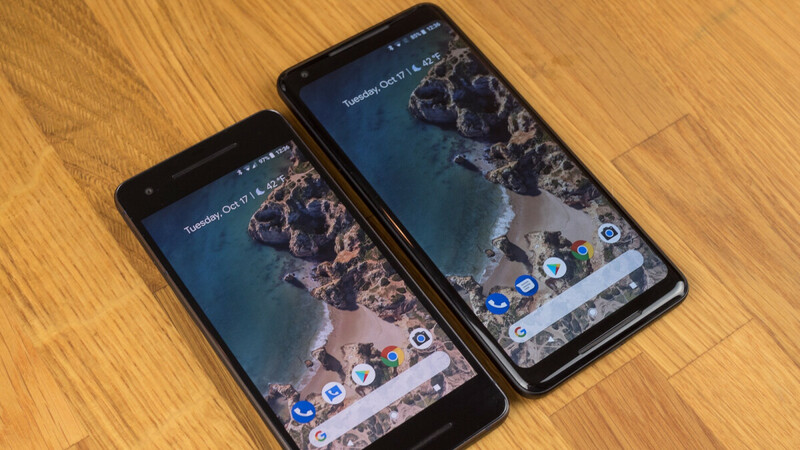 Let's be honest, the Pixel 2 and 2 XL don't exactly look... modern. And they're no longer absolute powerhouses either, sharing a slowly aging Snapdragon 835 processor. But they still have a couple of aces up their sleeves, making them desirable for certain people even in this day and age. We're talking about a stellar rear-facing camera and a silky smooth software experience. The best phones to look at if you care more about stock Android than anything else are obviously the newer and faster Pixel 3 and 3 XL. Unfortunately, these have gone back up to their $799 and $899 list prices at Google after big recent discounts. Then again, we're pretty sure those sweet deals will return soon enough. Or you could wait for the Pixel 3a and 3a XL to start selling, no doubt at substantially lower prices with humbler specs on deck. Last but not least, there are a number of solid Android One devices to take into consideration if you're after timely software updates and little to no bloatware. The Nokia 9 PureView is a very... ambitious cameraphone with incredible bang for buck (at least on paper), while the Nokia 7.1 starts at only $300 with respectable specs and features. The Moto X4 seems to be extremely popular in the US as well (mostly because it's also amazingly affordable), although the specifications are no longer very impressive. Wow, hopefully this means something good. It just means the Pixel 3 is their main focus at the moment. This is probably true. I'm seeing sites say it is because of the Pixel 3a rumors, and I'll believe it when I see it. I think I'll be loyal to the Pixel series for a long time to come, or until this series exists. I wish to have one more phone. It might be the Xperia 1 or the iPhone XR. These pixels are worth every penny, especially when you get via a good deal. Any info on if the deal at Best Buy is for "new customers" or can anyone walk in and grab it? Thanks!